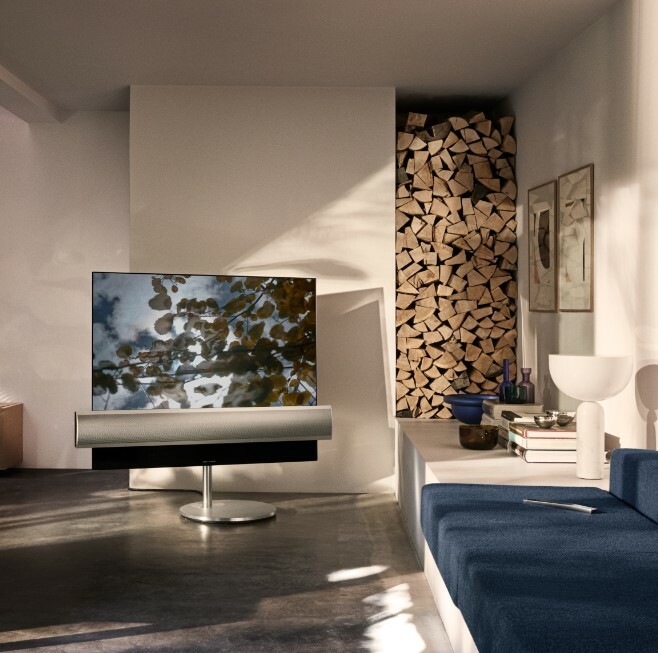 Danish company, Bang & Olufsen, known for its design, acoustics and craftmanship has introduced BeoVision Eclipse TV in India which is developed in partnership with South Korean giant, LG. In this TV, LG Electronics’ OLED TV technology and WebOS platform has been used for delivering absolute black and infinite contrast ratio with high dynamic range. Another USP of BeoVision Eclipse is that it is both a television and a music system combined in one. It comes with integrated 450 watt powerful 3-channel Dolby Sound system for stereophonic performance. For immersive cinematic experience in your own home, you can add additional BeoLab loudspeakers of the company via the integrated surround sound decoder. This TV has aesthetic design and mingles beautifully with the decor of your house or office. It has slim glass surface beneath the SoundCentre, which in turn expands beyond the screen on both sides. It has motorized floor stand and with a push of a button, you can make the TV move soundlessly across the floor. It can be adjusted according to your sitting position, modifying not only the viewing experience, but the entire decoration of the room. In addition to the floor stand, BeoVision Eclipse can be placed on a motorized or manual wall bracket. 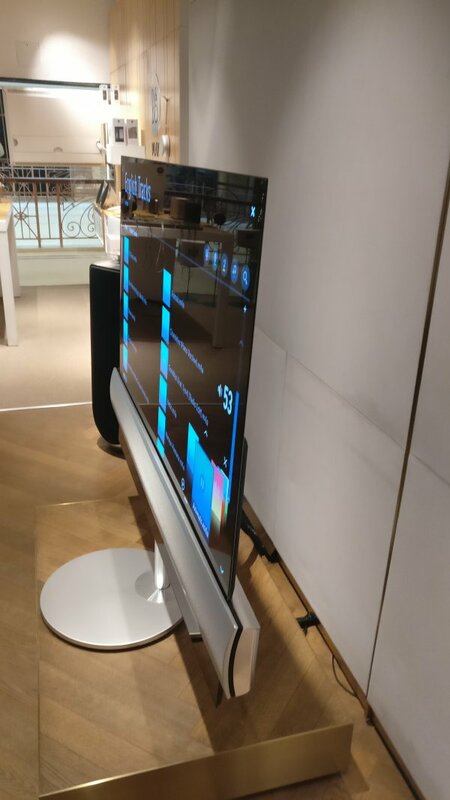 BeoVision Eclipse includes 4K video processing technology and comes with LG webOS 3.5 platform which allows you to access and customise your favourite content, apps and devices; Music streaming services like Spotify, content providers such as Netflix, Amazon and YouTube, Blu-ray players of any brand, as well as your personal content. The audio streaming part includes TuneIn radio, Spotify Connect, Deezer, Chromecast built-in for audio, audio AirPlay and Bluetooth streaming. This TV can be controlled with a single remote, the BeoRemote One BT, and allows for a great degree of personalisation. By pushing one of the ‘MyButton’ for three seconds, it is possible to store access to a source, creating a shortcut to content or devices – e.g. streaming services, personal content or a Blu-Ray player. BeoVision Eclipse is available in two sizes of 55inch and a 65 inch screen. 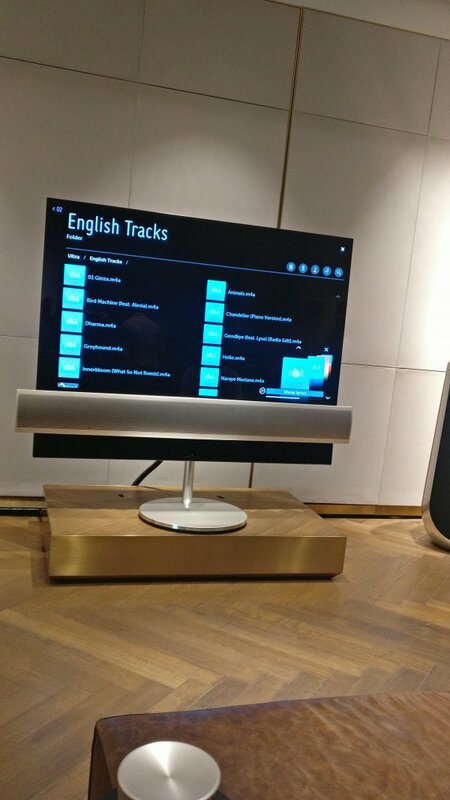 It will be available in Bang & Olufsen’s flagship stores in New Delhi at DLF Emporio, UB City, Bangalore and Taj Hotel, Santa Cruz, Mumbai at a recommended retail price of approximately 10 lacs for 55 inch and approximately 14 lacs for 65 inch.